The mission of the American Association of Pastoral Counselors is to bring healing, hope, and wholeness to individuals, families, and communities by expanding and equipping spiritually grounded and psychologically informed care, counseling, and psychotherapy. Faith communities are transformed when individuals with disabilities and their God-given gifts and experiences enjoy full inclusion in the Body of Christ. ADNet supports Anabaptist congregations, families, and persons touched by disabilities to nurture inclusive communities. 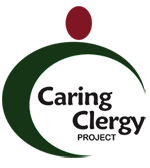 The Caring Clergy Project is sponsored by the Interfaith Network on Mental Illness, a nonprofit organization whose mission is to increase awareness and understanding of mental illness among clergy, staff, lay leaders and members of faith communities and help them more effectively develop and nurture supportive environments for persons dealing with mental illnesses and their families and friends. DBSA envisions wellness for people living with depression and bipolar disorder. DBSA provides hope, help, support, and education to improve the lives of people who have mood disorders. The Disability Ministries Committee is dedicated to opening hearts, minds, and doors for people of all abilities in the United Methodist Church. As an agency of the United Methodist Church, we welcome interested people of all backgrounds. We draw our mandate from the story in Luke, which tells how many people displayed through their actions that the man was part of their community. Our vision is to create a culture of inclusion for persons with disabilities within the faith community. Our mission: through advocacy, education and empowerment, the Disability Ministries Committee will lead the United Methodist Church in creating a culture where people with disabilities are fully included in all aspects of worship, leadership and ministry. The mission of the Episcopal Mental Illness Network (EMIN) is: To seek out and support, through prayer and action, consumers, families and/or service providers in the Episcopal Church whose lives are affected by major psychiatric disorders; To help Episcopalians, clergy and laypersons, become aware of the nature of these illnesses and the special needs and gifts of those affected; To reduce the stigma and misconceptions that prevail and to remove those barriers which frequently prevent persons with psychiatric illnesses and their families from participating in the full life of the Church. 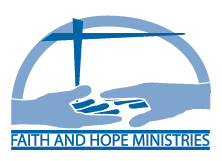 Faith & Hope Ministries is committed to bring awareness of and train congregations in the support and care for those with mental illness. This includes their families, their caregivers, and a supportive Christian community. One out of every four people you know has some form of mental illness; every person’s needs are as individual as they are. The HopeToHealing website exists to share stories of ordinary people representing a broad range of society from every State and background who face the challenges of life with courage and hope enabling them to live very successful and meaningful lives. INMI is a nationwide non-profit organization based in Boulder, Colorado. It is an interfaith organization and affirms that spirituality is an important component of recovery from mental illness. MennoMedia produces faith-based print, video, radio and web materials with ideas for living out your faith—for people everywhere—from a Mennonite perspective. Mental Health America is dedicated to promoting mental health, preventing mental and substance use conditions and achieving victory over mental illnesses and addictions through advocacy, education, research and service. The Mental Health and Faith Community Partnership is collaboration between psychiatrists and clergy aimed at fostering a dialogue between two fields, reducing stigma, and accounting for medical and spiritual dimensions as people seek care. The partnership provides an opportunity for psychiatrists and the mental health community to learn from spiritual leaders, to whom people often turn in times of mental distress. At the same time it provides an opportunity to improve understanding of the best science and evidence based treatment for psychiatric illnesses among faith leaders and those in the faith community. 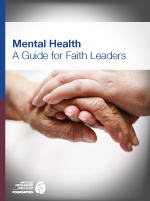 The American Psychiatric Association has put together a website with helpful resources and links as well as a new resource guide, Mental Health: A Guide for Faith Leaders with a companion Quick Reference on Mental Health for Faith Leaders. These resources can be downloaded from the APA website. Mental Health Ministries is an interfaith web based ministry to provide educational resources to help erase the stigma of mental illness in our faith communities. Our mission is to help faith communities be caring congregations for people living with a mental illness and those who love and care for them based on the “Caring Congregations” five step model of education, commitment, welcome, support and advocacy. Mental Health Ministries has created a wide variety of user friendly downloadable print and DVD resources with many of the print resources available in Spanish. This website also has training curriculums and other resources developed by denominations and national groups working in the area of spirituality/faith and mental illness. Congregations can choose from this “menu” of resources and adapt them to the unique needs of each faith community. Our Inspiration section that includes Devotions, Prayers and Quotations. NAMI FaithNet is a network composed of members and friends of NAMI. It was established for the purposes of: Facilitating the development within the faith community of a non-threatening, supportive environment for those with mental illness and their families; Pointing out the value of one’s spirituality in the recovery process from mental illness and the need for spiritual strength for those who are caretakers; Educating clergy and faith communities concerning mental illness and; Encouraging advocacy of the faith community to bring about hope and help for all who are affected by mental illness. Pathways to Promise is an interfaith cooperative of many faith groups. Mission: Pathways to Promise collaborates with faith and spiritual communities to share resources that assess, educate and effect change to welcome, support, engage and include persons with mental illnesses and those who care for them. Vision: People living with mental illnesses and those who care for them are welcomed and supported in all faith and spiritual communities. The Presbyterian Serious Mental Illness Network (PSMIN) welcomes those who advocate in the church and greater community with and for those who have been touched by mental illness. We work for equity, justice, human dignity and full acceptance, inclusion and participation in the life of the church. For 50 years, the Religious Action Center of Reform Judaism ("the RAC") has been the hub of Jewish social justice and legislative activity in Washington, D.C. The SAMHSA ADS Center enhances acceptance and social inclusion by ensuring that people with mental health problems can live full, productive lives within communities without fear of prejudice and discrimination. We provide information and assistance to develop successful efforts to counteract prejudice and discrimination and promote social inclusion. In 1992 the Mental Illness Network began with a grant from the then American Missionary Association of the United Church of Christ. We began as a response to the need for families and others to communicate among themselves about their experiences as families, and in congregations. We are, therefore, a network and not a committee.